Absolutely wait until you are invited to head over to meet the new addition. The last thing you want as a new parent is to have people stop by randomly. Wait for the invite; let them settle in at home first. This may seem completely obvious, but when you first arrive, before you even attempt to give that precious little bundle of joy a cuddle, make sure that you wash your hands. Head straight to the bathroom, wash your hands and then use some anti bacterial gel. Yes you’re the guest, but standard house-visiting etiquette goes out the window when the newborn arrives in town. So offer to make the tea. Or better still, offer to hold the baby so the new parents can enjoy a hot cuppa. This truly is a win-win situation for everyone! You get a cuddle with a newborn, and the new parents get their arms free! If you feel comfortable looking after the baby, offer to hold the baby whilst they have a hot shower, or maybe even a nap. Who knows when the last time these new parents ate anything? Life with a newborn is chaotic and random; set meal times are pretty much a thing of the past for the first few months, and cooking a meal from scratch is unlikely. So bring some food – ready meals that can be stashed in the fridge so they have something semi-nutritious to eat in under 10 minutes when the baby might be sleeping. It’s hard enough keeping up with a newborn without having to clean up after your guests too. Do the right thing and clean up after yourself (even if your host says “don’t worry about it” like they inevitably will). Not everyone will be onboard with the idea of someone else cleaning up after them (it horrifies some people!) but you should be able to judge whether it’s OK to do the washing up for them without offending. Be specific with your offers of help too – “Can I do the washing up for you?” is much better than “Is there anything I can do to help?”. I remember my brain was pretty frazzled in the first couple of months, so any extra questions where I had to use my brain were confusing and a little stressful. Don’t just presume that it’s OK to bring your kids with you to visit the newborn. Always check with the parents first. 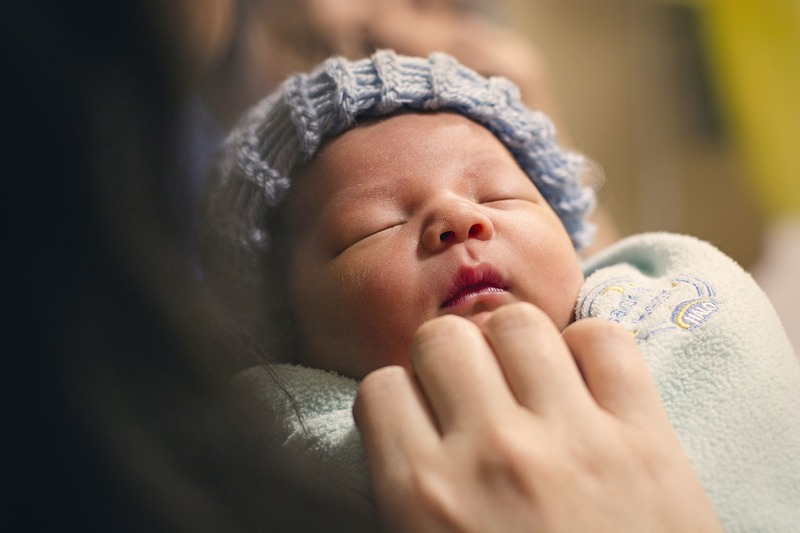 Newborns are very susceptible to infection, particularly in the first few weeks, so don’t bring your children with you unless the new parents say that it’s OK.
Shower the new parents with compliments, of course, but don’t offer up any advice without being asked for it. Chances are they would have had well-meaning but unwelcome advice left, right and centre, so give them a break. Know when it’s time to go. Don’t hang around for hours on end, being waited on. Stay for an hour, be helpful and head off. Send a text after you’ve gone letting them know that it was so great to see them and that they’re doing so well. What are your top tips when visiting a newborn? If you’re a parent, what would you really have appreciated in the early stages? yes yes yes! I love all of these. The food one and holding the baby so you can have a hot drink in particular. It really makes a difference.